The UFO lamp part of the Nuno Texeira project, This design had a strong visual impact through high-gloss colors and sculptural body. UFO Lamp is that the secret society of UFO alien spieces already being discovered by human. Actually the UFO lamp design is one of the cool design that I found so far. 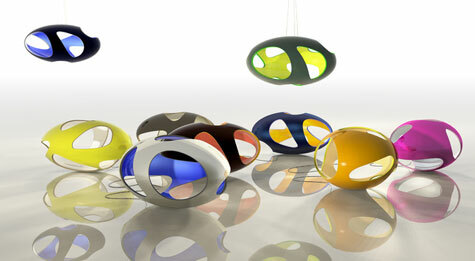 With an oval suspension/floor lamp made of high-density expanded polyurethane with car paint finish. This design had a strong visual impact through high-gloss colors and sculptural body. 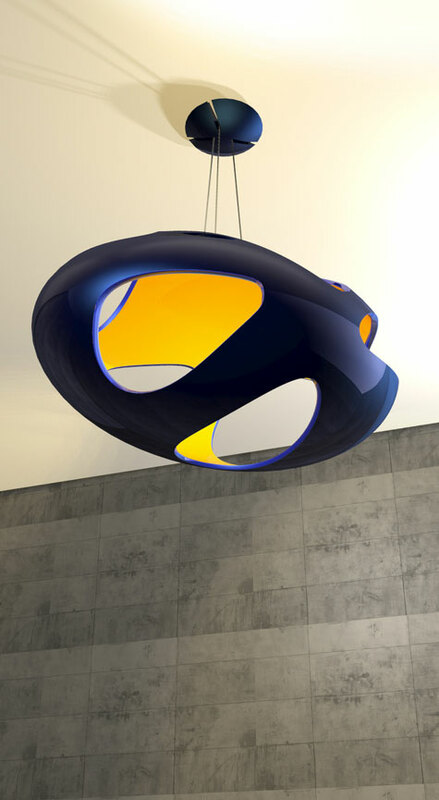 With great idea of a suspended lamp that look like UFO spaceship make the design frozen in spaces - more over in your living room. 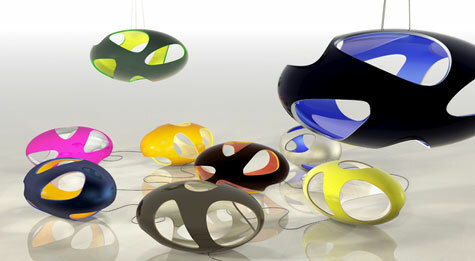 A Colorful design, make the lamp more attractive. well, there are already Light Emitting Diode base floor lamps these days:*.